Play Bocce on Thursdays on the outdoor courts at Highland Park. Games start at 6:30pm and run every 45 minutes through the evening. 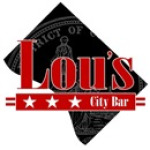 Keep the party going all night long at Lou's City Bar and enjoy Lou's bocce night specials with all of your new best friends! Green Tea Shotsk: $5 single & $20 Shotski! Check out this Bocce league 'Highland Park / Lou's Thursdays' with DC Bocce League!